Looking for the best Birding trails around Alexandria? Find the top rated birding trails in Alexandria, whether you're looking for an easy short birding trail or a long birding trail, you'll find what you're looking for. Click on a birding trail below to find trail descriptions, trail maps, photos, and reviews. This trail is ideal! It runs through mostly wooded areas to keep you shaded but does also have several spots through grasslands! Perfectly flat and wonderful!! 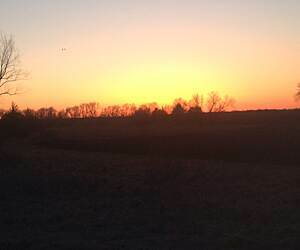 I had been on the Lake Wobegon trail many years ago to where it dead-ended north of Holdingford. Now I finally made it back to ride the extension to the Mississippi River and back. For added thrills I also rode to Albany for lunch and returned. 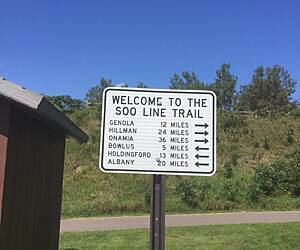 There seem to be at least 3 trails in Minnesota that use the Soo Line name so it gets a little confusing. This one is an extension of the spur line of the Lake Wobegon trail, starting a little north of Holdingford, which is itself north of Albany, which is on I-94 west of the Twin Cities. Holdingford has a nice trailhead with all the facilities and a real-life boxcar for added atmosphere. The transition from Lake Wobegon to Soo Line trail is seamless. The trail is wide, smooth, and has only a couple road crossings of any consequence. The Mississippi River bridge is quite spectacular; I stopped and took in the views of the river and dam for a while. Shortly after that I came to the end of the paved trail where it changes to ATV use. There's one highway bridge where both kinds of vehicles are allowed, but I didn't see any ATVs while I was there, and I doubt that there are many conflicts. The northern trailhead was not as well-appointed as Holdingford, but still had the basic facilities. There was also a nice trailhead mid-trail in Bowlus. Smooth, flat, scenic. A very nice ride. Rode from mile 90 to 85 and back on a cross country car trip. A very pleasant break and a trail I would like to come back to and ride more. 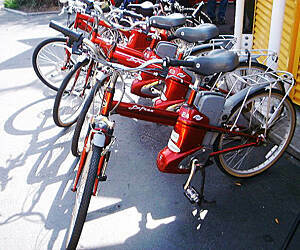 It's a nice smooth ride with great food at Jordie's along the way. Worth a visit. On March 12, 2016 my wife, our 8 year old daughters and I rode bike from Willmar to Spicer. Smooth 6 mile ride. We crossed a few gravel roads, but traffic was not a concern. The Highway 23 underpass eliminates the worry of crossing a busy highway. We stopped at Subway, a few feet off the trail, in Spicer. 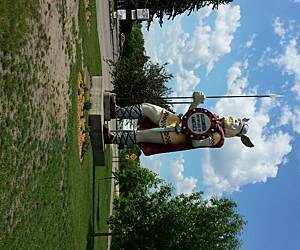 After lunch we turned around and traveled back to Willmar. Our daughters handled the ride very well. They did last year at 7 also. They have good bikes from Rick's Cycling in Willmar, not discount store, bikes. Overall great little trip, get out and ride, they grow up fast. I loved this trail. Nice, clean and flat. 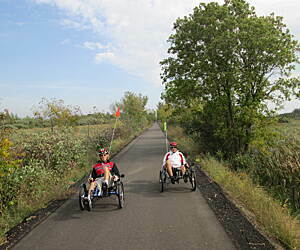 It gives a good view of the countryside as you traverse the miles of trail. I had no clue where this ended as it flawlessly merges with the Wobegon trail for way more mileage that I could have done in my short timeframe. There are multiple little wooden bridges. I took a little rest at Bowlus. Wish I had time to stop by the little café I saw. I would definitely ride this one again! Found the trailhead at the end in New London to be lacking. They seem to be working on it still but it was very exposed. We went past it into town and the 'rest stop' indicated was a convenience store with a picnic table behind it next to the dumpster. In summary I would say that it is not one we will go back to however, I can see by other reviews that the Spicer end near Green Lake might have been more enjoyable.